The conference will take place at the Corfu Holiday Palace, Nafsikas str., Kanoni, 49100 Corfu, Greece. Corfu is a Greek island in the Ionian Sea. It is the second largest of the Ionian Islands, and, including its small satellite islands, forms the northwesternmost part of Greece. The island is part of the Corfu regional unit, and is administered as a single municipality, which also includes the smaller islands of Ereikoussa, Mathraki and Othonoi. The principal city of the island and seat of the municipality (pop. 32,095) is also named Corfu. Corfu is home to the Ionian University. The island is bound up with the history of Greece from the beginnings of Greek mythology. 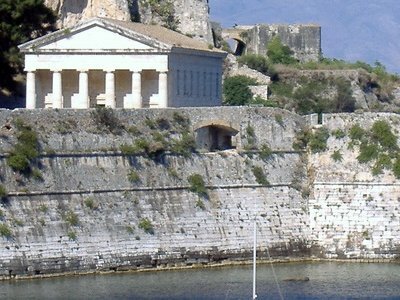 Its Greek name, Kerkyra or Korkyra, is related to two powerful water symbols: Poseidon, god of the sea, and Asopos, an important Greek mainland river. According to myth, Poseidon fell in love with the beautiful nymph Korkyra, daughter of Asopus and river nymph Metope, and abducted her. Poseidon brought Korkyra to the hitherto unnamed island and, in marital bliss, offered her name to the place: Korkyra, which gradually evolved to Kerkyra (Doric). Together, they had a child they called Phaiax, after whom the inhabitants of the island were named Phaiakes, in Latin Phaeaciani. Corfu's nickname is The island of the Phaeacians. More information can be found HERE, HERE and HERE.